A group of Fort Dodge and Webster County leaders met with U.S. Rep. Steve King, R-Kiron, in the Rayburn House Office Building in Washington, D.C., Wednesday morning. In the front row, from left, are Luke Palmer, senior operations manager for CJ Bio America; Kelly Halsted, economic development director for the Greater Fort Dodge Growth Alliance; Fort Dodge City Councilwoman Lydia Schuur; King; Luke Hugghins, project manager for McClure Engineering Co.; Fort Dodge Mayor Matt Bemrich; and Lance Choi, head of the North American Bio Division of CJ Bio America. In the back row, from left, are Fort Dodge City Manager David Fierke; Wade Greiman, transportation business unit leader for Snyder & Associates; Webster County Supervisor Mark Campbell; and Webster County Supervisor Nick Carlson. 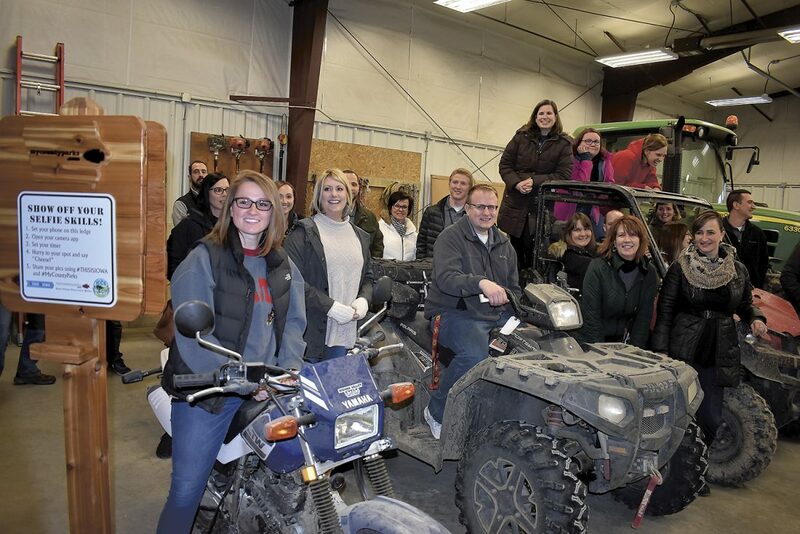 Emily Lawler, of Clare, at left, and members of Leadership Fort Dodge, try out some of the off-highway vehicles in the maintenance shed at Gypsum City OHV Park Thursday afternoon. 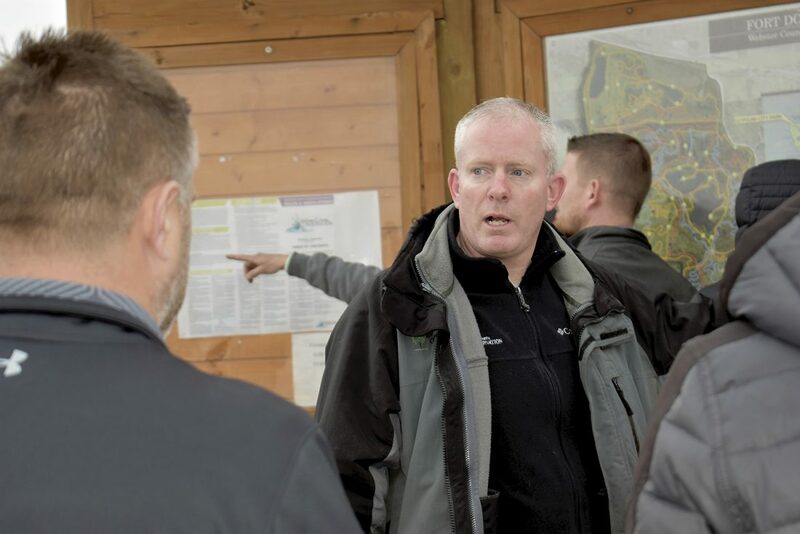 Damp and windy conditions prevented the group from riding, but Webster County Conservation leaders provided information and future plans for the park during the session. 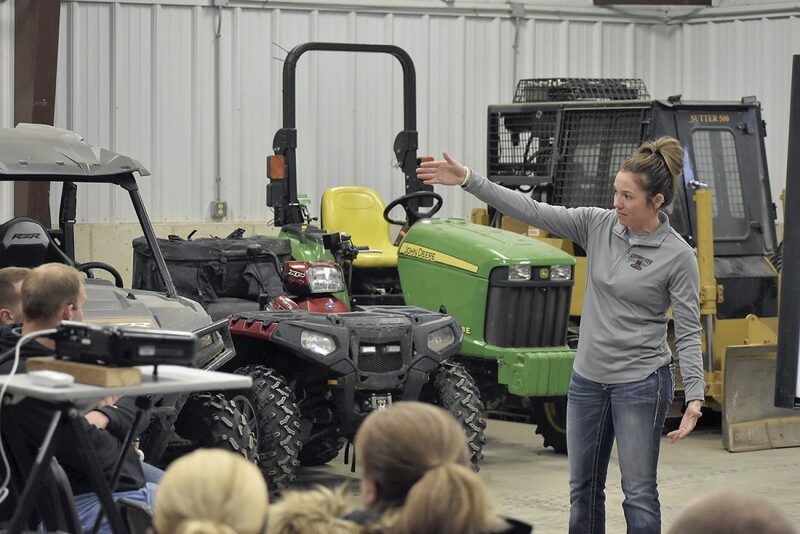 Tasha Nielsen, trail technician for Webster County Conservation, speaks to members from Leadership Fort Dodge about the trails at Gypsum City OHV Park Thursday afternoon. 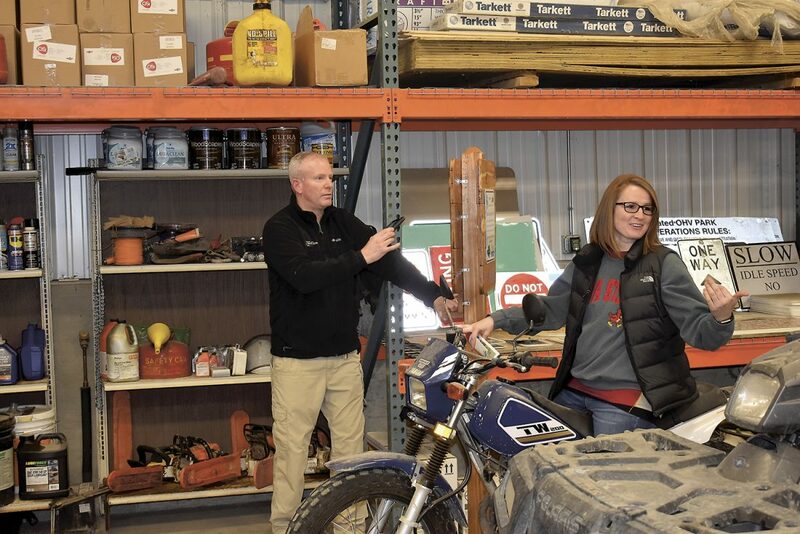 Matt Cosgrove, Webster County director of conservation, left, and Emily Lawler, of Clare, try out their selfie skills inside the maintenance shed at Gypsum City OHV Park Thursday afternoon. Lawler and others from Leadership Fort Dodge were there to learn about the amenities of the park. Matt Cosgrove, Webster County Conservation director, center, talks about improvements the Gypsum City OHV park campgrounds Thursday afternoon. One of the fishermen shows off a fish caught in the net while buffalo fish and carp are being harvested out of Twin Lakes. Clearing out the “rough fish” is intended to improve water quality and give more for game fish to flourish. Other fish caught in the net are released back into the lake. Fishermen are hauling in tons of carp and Largemouth Buffalo in nets from North Twin Lake recently, as a DNR-sponsored effort gets underway to reduce “rough fish” in the lake and improve water quality. Fish are being hauled live out of Twin Lakes to be sold on the market, either in the states or overseas. While carp and Buffalo fish aren’t really prized by anglers and can be difficult to clean, some people find they are actually good eating. It took years of planning, collaboration, and even a piece of legislation for the Gypsum City Off-Highway Vehicle Park to become what it is today — which is the largest OHV park in the state of Iowa, according to Dennis Plautz, president of the Webster County Improvement Corp.
That was the message to participants in the Leadership Fort Dodge program Thursday afternoon during a presentation about the progress of the park, southeast of Fort Dodge. The meeting was held at the maintenance shed on the property where the park is located. The 650-acre OHV park is constructed on land acquired at no cost by the Webster County Improvement Corp. from USG, National Gypsum and Georgia Pacific. Plautz said the idea for the park started with Larry Leiting, of Fort Dodge, in the late 1990s. Leiting was a member of Webster County Wheelers. But because of a lack of funding sources and trouble acquiring land, the project stalled for a few years. In 2004, much of the land was transferred to the Webster County Improvement Corp. — a five member board that owns and leases sections of the OHV Park land. The Improvement Corporation is separate from the Greater Fort Dodge Growth Alliance. Plautz is also the chief executive officer of the Growth Alliance. 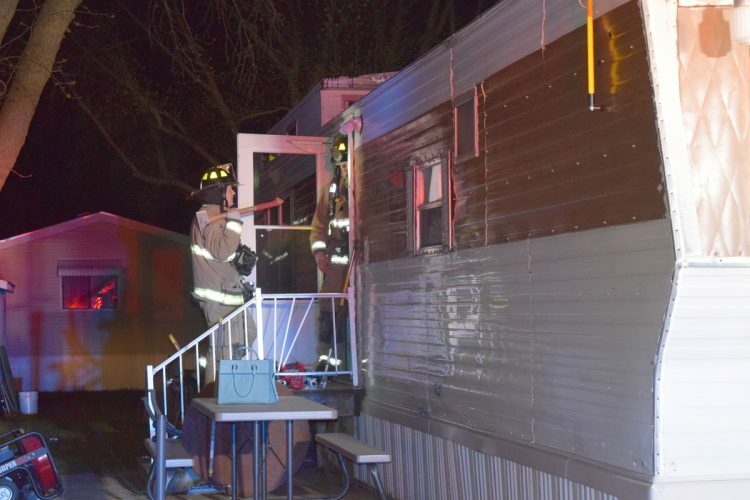 Liability was another setback, Plautz said. “It went on for years without any headway,” he said. 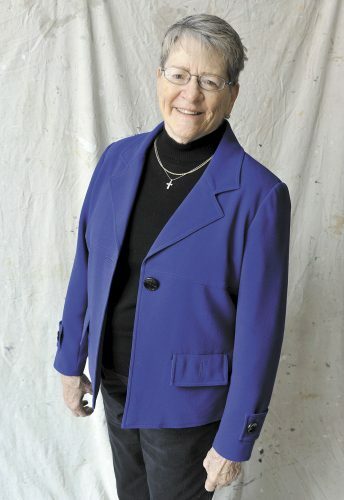 Former state Rep. Helen Miller, D-Fort Dodge, wrote a liability law specific to the OHV Park. The law states that gypsum mining companies that donate land to a 501c3 organization for use of an OHV Park are exempt from liability. The Webster County Improvement Corp. is a 501c3 organization. 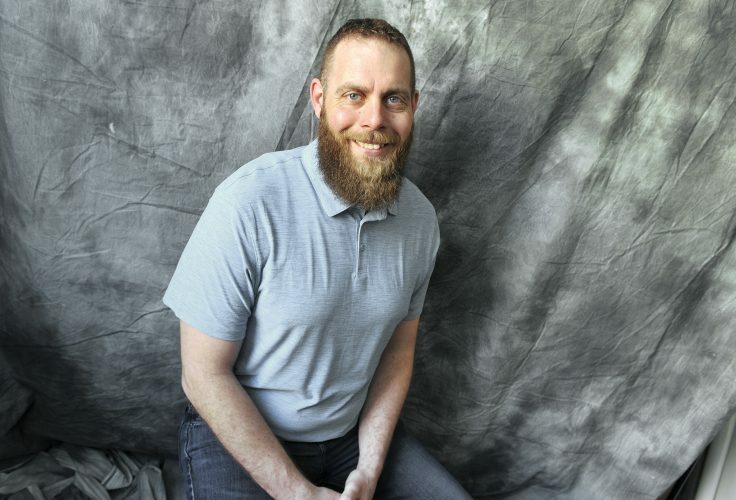 “Helen Miller was one of the real keys to this,” Plautz said. 2006 was the first time riders raced through the park legally. Webster County Conservation became involved with the project in 2009, and Plautz said that’s when the park really started to take shape. 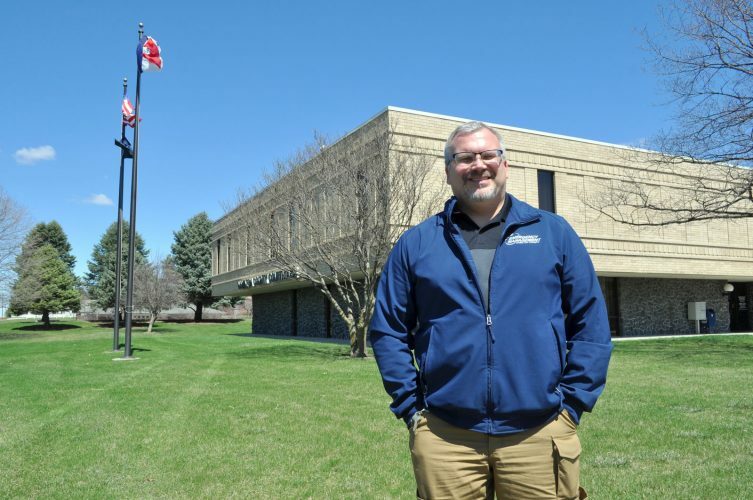 “It really took off in structure when the Webster County Conservation Board and Matt Cosgrove got involved,” Plautz said. Cosgrove said the park has provided a way for people to ride legally. The park has three phases, which take up space on both sides of Webster County Road P59. An open shelter with picnic tables and grill, loading dock, restrooms, 1.5 mile MX track, a beginners track, a circle track, fishing ponds, and more than 60 miles of trails for all-terrain vehicles, motorcycles, and off-road vehicles, are among the amenities of the park. 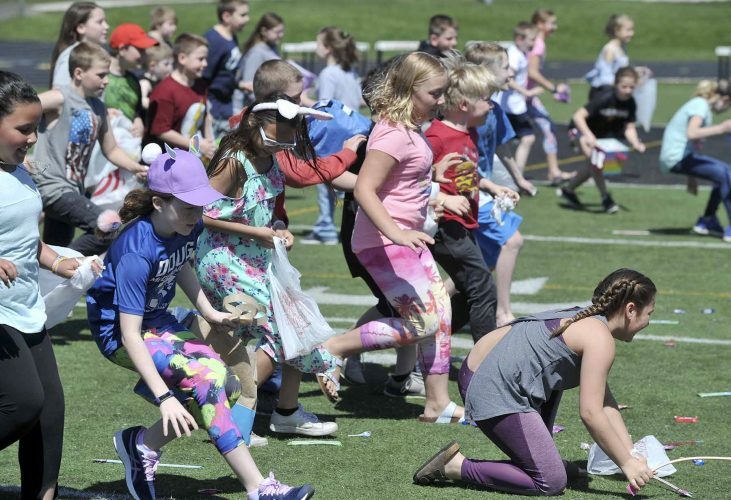 Plautz said the park has received $6.25 million in funding, mostly through federal grants. Cosgrove said a lot of money has been invested in chain link fencing. According to Iowa law, the park has to be fenced in. Cosgrove said the park has attracted visitors from out-of-state. The campground located within the park has 33 camping sites. It has become a popular destination. During Labor Day weekend in 2018 the campground had representation from seven different states, Cosgrove reported. “We are seeing a lot of non-residents,” he said. Plautz said the park is a real asset.